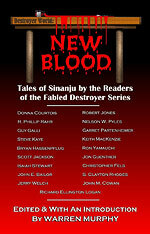 A collection of short stories written by the talented fans of the ever-popular Destroyer Series. Edited and with an introduction by series creator Warren Murphy. Follow the exploits of Remo Williams, Chiun, Smith and earlier Masters of Sinanju.